Minnesota's ex-governor has a new book, is stepping up trips to Iowa—and tanks in 2012 polls. 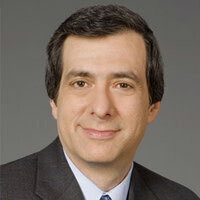 Howard Kurtz talks to him about taxes, Palin's crosshairs, and his "hot" wife. Tim Pawlenty is late for our call because he’s been mired in arrangements for his kids’ volleyball game. Minnesota's ex-governor comes across as a regular guy—devoted dad, earnest public servant, common-sense conservative—and that’s how he portrays himself in a new autobiography designed to launch his candidacy for the 2012 presidential nomination. Although his state borders Iowa, he faces a steep climb from the valley of minuscule poll numbers. The question is whether a man who revels in such ordinariness, who speaks calmly and thoughtfully, can catapult himself into contention in today’s polarized era. Fair enough. But since he invoked Palin, I ask the 50-year-old Republican how he would differentiate himself from her, figuring he’d at least observe that he has served two full terms as governor. He winds up sounding like her campaign manager. OK, it’s early. But how about Michele Bachmann, the sharp-tongued Minnesota congresswoman who has been dropping hints that she might just make a White House run, which could crowd out another contender from the state? “I have a positive and cordial relationship with Michele,” he says. Pawlenty likes to play hockey, but no one can accuse him of high-sticking. The most dramatic scene in the book is when Pawlenty tells his wife Mary that he should retire as a state legislator, given the strain on the family, rather than try to succeed Jesse Ventura as governor. “Tim,” she said, “the state needs you.” Her Rocky Balboa speech, as he describes it, gave him the inspiration he needed. Pawlenty is a small-government politician who doesn’t much dwell on social issues. He did not allow a major state tax increase during his tenure, but pushed off costs to localities that were forced to hike property taxes. He passed some modest health reforms—public-private partnerships for buying coverage, requiring state workers to pay more for expensive clinics—and is a fervent opponent of President Obama's health-care reform. If he has a signature theme, it is what he calls the “government finance bubble”: that there are too many federal and state employees, and they are earning fat pensions that society can no longer afford. “I do believe we’re going to require very significant austerity, at a historic level,” Pawlenty says. “I’ll fight to get that done.” He pushed through a measure cutting Minnesota’s public pensions by $2 billion over five years, mainly by trimming benefits and shifting costs to employees and localities. Like ex-Massachusetts governor Mitt Romney and Indiana Gov. Mitch Daniels, Pawlenty comes from the party’s technocratic wing: even-keeled managers who know how to work with the other party without a lot of histrionics. In an ugly climate now marked by the Giffords shooting, maybe the country is ready for a dose of Minnesota Nice. But Pawlenty has lost to Palin before: He was the runner-up in John McCain’s search for a running mate, fully vetted and not knowing whether he would get the nod until McCain publicly anointed the woman from Wasilla. McCain opted for excitement, changing with one stroke the future of Republican politics. Pawlenty, who is hampered by low name-recognition, sees the book tour as “a chance for people to get to know me better.” But he drifts back to the notion that he has a charisma deficit.